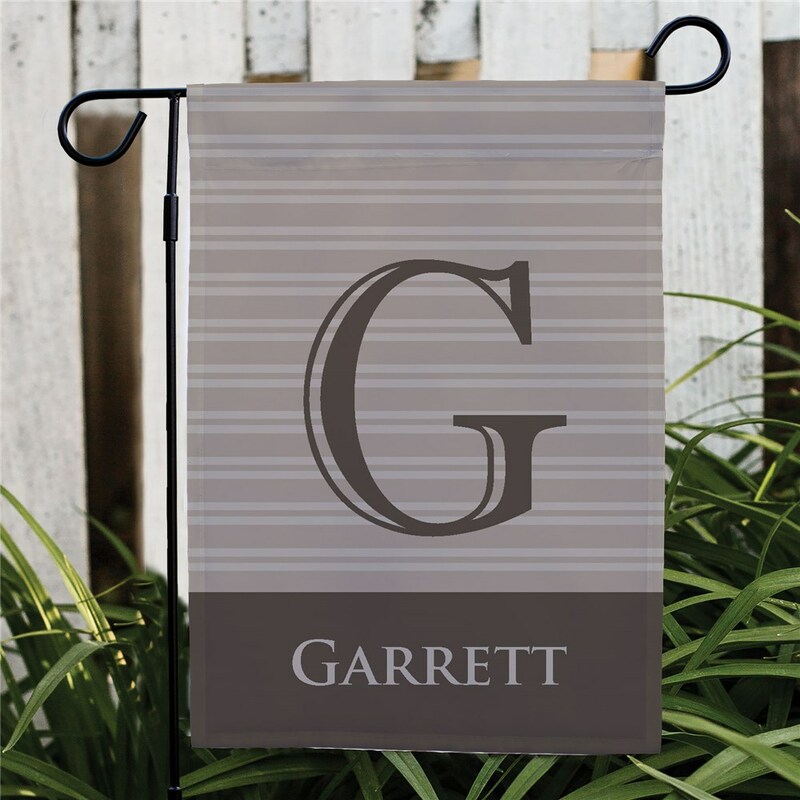 Give your friends, family & neighbors the warm welcome they deserve with this stylish personalized garden flag. 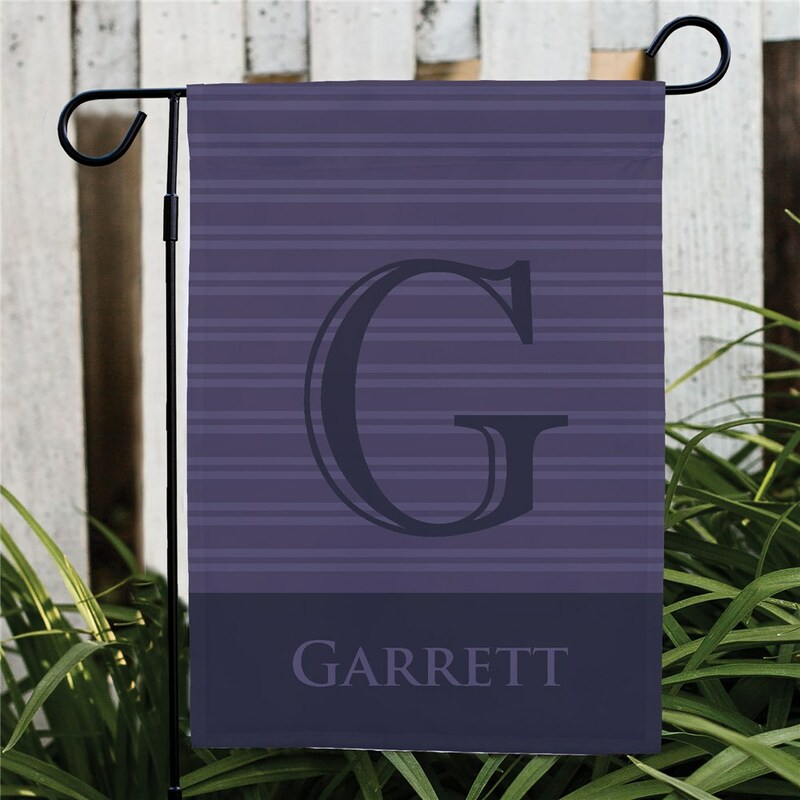 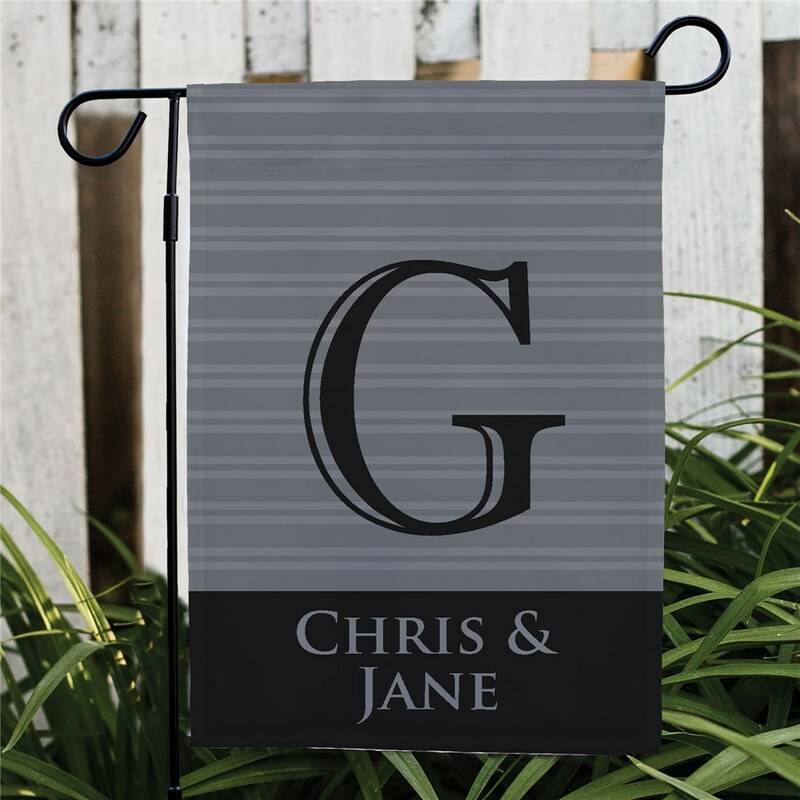 Personalized with your name and initial along with a sophisticated design color to match your décor, this garden flag becomes a perfect addition to your outdoor decorations. This design may be printed on our one sided or double sided, durable, all-weather 100% poly garden flag that measures 12 1/2"w x 18"h. You may wish to display this flag on our optional garden flag pole, door hanger or window hanger, sold separately. Sure to be one of the best housewarming gifts any family receives! 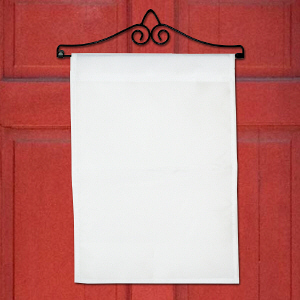 So nice, I have it hanging on my front door. 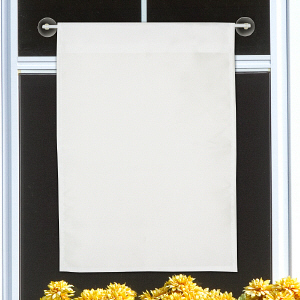 Very nice quality fabric. 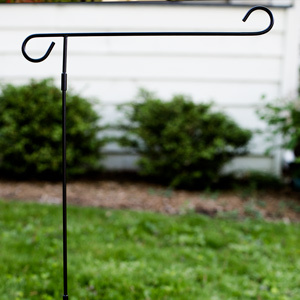 Looks beautiful in my yard.